The National Educational Assessment and Examinations Agency has released exam results for grade 10 General School Leaving Certificate Examination (EGSLCE). 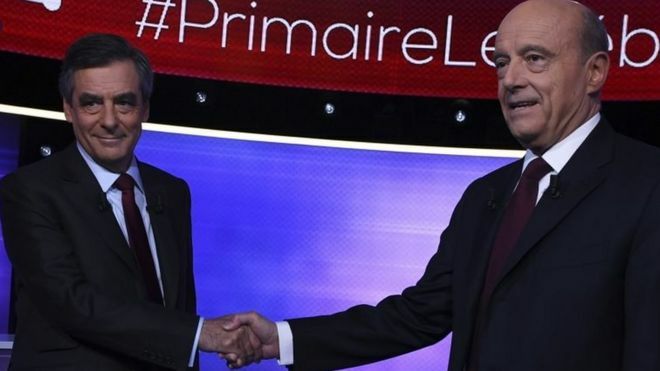 Image copyrightAPImage captionSome commentators say Francois Fillon's (L) and Alain Juppe's visions are "almost identical"
Voters in France are choosing between Francois Fillon and Alain Juppe to be their centre-right presidential candidate in next year's election. Mr Fillon is now seen as the favourite to win Sunday's run-off, after securing 44.1% of votes in the first round a week ago. Mr Juppe had 28.5%. Former President Nicolas Sarkozy was knocked out of the race. The Republicans candidate is widely expected to take on far-right National Front leader Marine Le Pen next spring. Polls across France are due to open at 07:00 GMT and close at 18:00 GMT. Self-declared supporters of the centre-right values are choosing between the two former prime ministers. It is the party's first such primary vote, modelled on the US system. Both Mr Fillon, 62, and Mr Juppe, 71, want economic reforms - but they differ widely on how far and how fast to take them. Mr Fillon says France is angry and wants radical change. He is planning to slash 500,000 public jobs. Mr Juppe is proposing to sack just over half that number of people, and is focusing on a message of harmony and diversity. Earlier this week, the two contenders clashed over the level of change they were promising to bring in a TV debate. A poll of 908 debate viewers by Elabe suggested 71% of conservative respondents found Mr Fillon more convincing, as did 57% of viewers of all political stripes. Mr Juppe - who was once the favourite to win this primary - has spent the past week highlighting Mr Fillon's personal views on abortion and gay marriage - widely seen as a bid to mobilise centrist and perhaps even left-wing voters, the BBC's Lucy Williamson in Paris reports. Mr Juppe also said his rival was close to Russian President Vladimir Putin, amid growing tensions between the West and Moscow over the crises in Syria and Ukraine. "This must be the first presidential election in which the Russian president chooses his candidate," Mr Juppe said. Mr Fillon has argued that the EU and the US "provoked" Russia by expanding in Eastern Europe, calling for an alliance with Russia to fight Islamic State militants in Syria. Mr Fillon, a Roman Catholic, has also complained of being portrayed as a "medieval conservative", describing his opponent as a "man of the system" with no real plans for change. 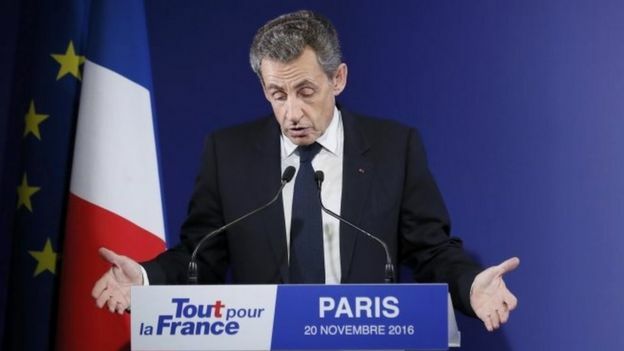 After losing last Sunday's first round, Mr Sarkozy endorsed Mr Fillon. Image copyrightAPImage captionDonald Trump: "The people have spoken and the election is over." Republican President-elect Donald Trump has described an impending recount of votes in Wisconsin as a "scam". Mr Trump, who narrowly won the state, said the results "should be respected instead of being challenged or abused". Green Party candidate Jill Stein had initiated the recount. She also wants recounts in Michigan and Pennsylvania, citing "statistical anomalies". Democratic candidate Hillary Clinton's campaign has said it would participate in Wisconsin's recount. Results would need to be overturned in all three states to alter the outcome of the 8 November presidential election. Is US system a 'disaster for democracy'? In a statement released by his transition team on Saturday, Mr Trump accused Dr Stein of trying to "fill her coffers with money" on the pretext of asking for donations towards a recount. "The people have spoken and the election is over," the statement said. Dr Stein defended her recount initiative, telling CNN that "the point to drive home here is that having a secure elections process benefits us all". She also suggested that she was open to looking at recounts in other states - not just Wisconsin, Michigan and Pennsylvania. Meanwhile, the Clinton campaign's general counsel, Marc Elias, said the camp and outside experts had been "conducting an extensive review of election results, searching for any signs that the voting process had been tampered with". He said there was no evidence to conclude the election had been sabotaged, but "we have an obligation to the more than 64 million Americans who cast ballots for Hillary Clinton to participate in ongoing proceedings to ensure that an accurate vote count will be reported". Mr Elias noted that the number of votes separating Mr Trump and Mrs Clinton in the closest of the three states - Michigan - "well exceeds the largest margin ever overcome in a recount". However, he said the campaign would join in "on principle" in the Midwestern states if Dr Stein followed through on her promise. The Green Party nominee reportedly wants to be sure computer hackers did not skew the poll in favour of Mr Trump. Concerns over possible Russian interference had been expressed in the run-up to the vote. The US government has said Russian state actors were behind hacks on the Democratic National Committee, a claim denied by Moscow. The Wisconsin Elections Commission said it had received recount petitions, and the process would begin after Dr Stein's campaign had paid the fee, which the commission was still calculating. Dr Stein's campaign needs to raise millions of dollars to cover the fees for the vote recount in all three states. Her website says nearly $6m (£4.8m; €5.6m) has already been raised toward a $7m target. It says this is enough to fund the recounts in Wisconsin and Pennsylvania. The deadline for the petition for the recount in Wisconsin was Friday, while Pennsylvania's deadline is Monday, and Michigan's is Wednesday. Michigan is yet to declare its final results. Wisconsin provides only 10 votes in the crucial electoral college that gave Mr Trump victory in the 8 November election. 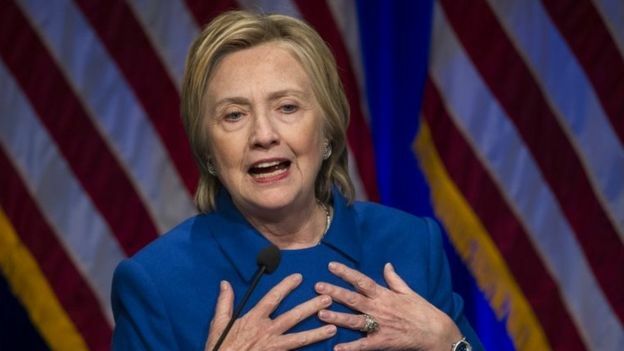 Wins there for Mrs Clinton, as well as in Michigan (16 electoral votes) and Pennsylvania (20 electoral votes), would have clinched the presidency for the Democrat. Swiss voters are casting their ballots to decide whether or not to speed up the process of phasing out the country's nuclear power plants. If voters choose "yes" in Sunday's referendum, it would force three of the country's five reactors to close next year, and the remaining two by 2029. The five plants currently generate 40% of Switzerland's electricity. Polls suggest a tight race on the issue, which is being championed by environmentalists. 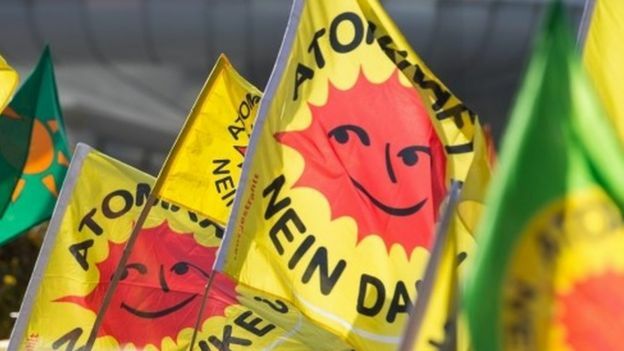 The Swiss Greens and Social Democrats have been pressing for a vote since the Fukushima disaster in Japan in 2011, arguing that Swiss plants are ageing and unsafe. Following the incident, Swiss authorities announced plans for a gradual phase out of nuclear energy but did not specify dates. However, government and industry figures argue a quick exit from nuclear power could raise reliance on fossil fuels instead of renewable energy and possibly lead to power shortages. Recent opinion polls show the "yes" and "no" camps to be neck-and-neck. 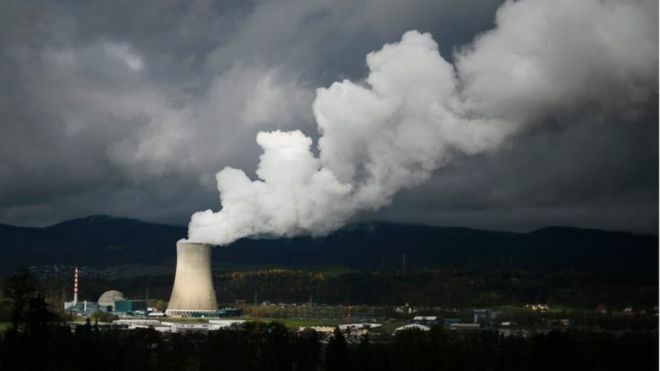 Although Switzerland's government already has a plan to decommission the country's five nuclear plants "at the end of their natural lives", opponents of nuclear power claim the strategy is too vague, and may allow the plants to keep operating indefinitely. The proposal before voters, brought by the Green party, calls for nuclear plants to be closed after a maximum 45 years in operation, and for a ban on construction of any new plants. This would mean that three of the five plants would have to shut next year, the fourth in 2024 and the last in 2029. Switzerland is a densely populated country, none of its five plants is more than 70km (43 miles) from urban centres and the government issues iodine tablets to communities within a certain radius, to be taken in case of a release of radioactive material. 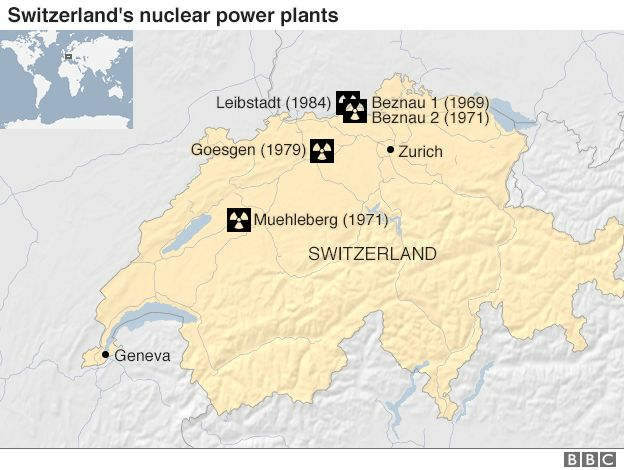 Due to public concern, no new nuclear power stations have been built in Switzerland since 1984. Cuba is mourning its revolutionary leader and former President Fidel Castro, whose death was announced late on Friday and has plunged the country into nine days of mourning. The body of the 90-year-old was due to be cremated at a private ceremony in Havana on Saturday. Some world leaders have been paying tribute to the 20th century icon. 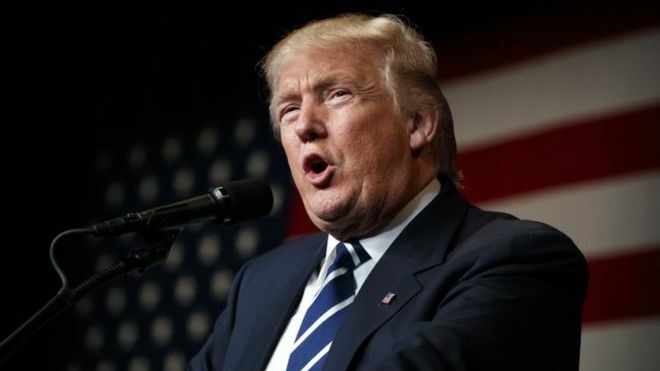 US President-elect Donald Trump, however, described Fidel Castro as a "brutal dictator". 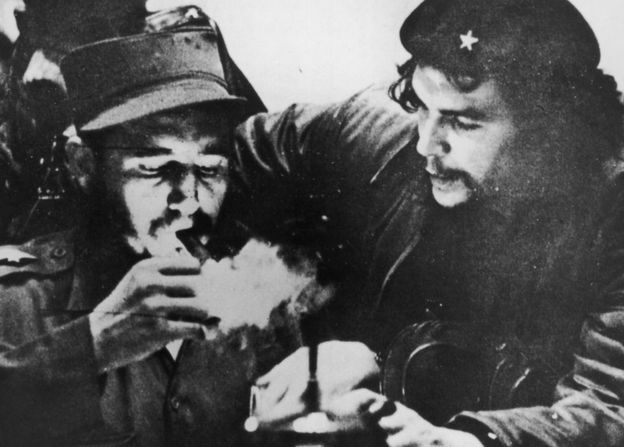 Castro came to power in 1959 and ushered in a Communist revolution, defying the US for decades. His supporters viewed him as a man who stood up to America during the Cold War and returned Cuba to the people. His critics, however, called him a dictator. Flags are flying at half-mast on government buildings across the island, as many ordinary Cubans are feeling grief at the loss of someone who was a part of their lives for decades. In Miami, a US city with a large Cuban community, there were celebrations shortly after Castro's death was announced, with people banging pots and cheering. The US cut ties with Cuba in 1961 amid rising Cold War tensions and imposed a strict economic embargo which remains in place more than half a century on. Under President Barack Obama, the relationship warmed and diplomatic ties were restored in 2015. Mr Obama said history would "record and judge the enormous impact" of Castro. America was extending "a hand of friendship to the Cuban people" at this time, he added. 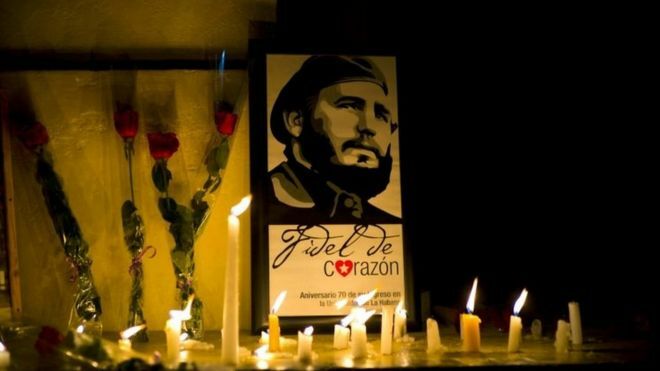 A mourning period began on Saturday and will be observed in Cuba until the urn with Castro's ashes is taken to the south-eastern city of Santiago de Cuba to be laid to rest there on 4 December. Before that, a series of memorials will be held in Havana and Castro's ashes will travel along the route of the Caravan of Freedom that took place in January 1959. Many in Havana were in tears on Saturday, genuinely moved by the loss of a man they consider to have freed their country from Washington's grasp, the BBC's Will Grant reports. Castro was the longest serving non-royal leader of the 20th Century. He had been retired from political life for several years, after handing power to his brother Raul in 2006 because of illness. Reacting to news of Castro's death one woman, a government employee, said: "I always said it couldn't be. Even though they said it now, I say it can't be." But Cuban dissident group Ladies in White, which was founded by wives of jailed dissidents, tweeted: "May God forgive him, I won't". Throughout the Cold War, Fidel Castro was a thorn in Washington's side. An accomplished tactician on the battlefield, he and his small army of guerrillas overthrew the military leader Fulgencio Batista in 1959 to widespread popular support. Within two years of taking power, he declared the revolution to be Marxist-Leninist in nature and allied Cuba firmly to the Soviet Union - a move that led to the missile crisis in 1962, bringing the world to the brink of nuclear war before the Soviet Union abandoned its plan to put missiles on Cuban soil. Despite the constant threat of a US invasion as well as the long-standing economic embargo on the island, Castro managed to maintain a communist revolution in a nation just 90 miles (145km) off the coast of Florida. Despised by his critics as much as he was revered by his followers, he maintained his rule through 10 US presidents and survived scores of attempts on his life by the CIA. He established a one-party state, with hundreds of supporters of the Batista government executed. Political opponents have been imprisoned, the independent media suppressed. Thousands of Cubans have fled into exile. Many world leaders have paid tribute to Castro. Russian President Vladimir Putin described him as a "reliable and sincere friend" of Russia, while Chinese President Xi Jinping said his people had "lost a good and true comrade". The Soviet Union's last leader, Mikhail Gorbachev, said: "Fidel stood up and strengthened his country during the harshest American blockade, when there was colossal pressure on him." UN Secretary General Ban Ki-moon acknowledged advances in education, literary and health under Castro, but said he hoped Cuba would "continue to advance on a path of reform, greater prosperity and human rights". 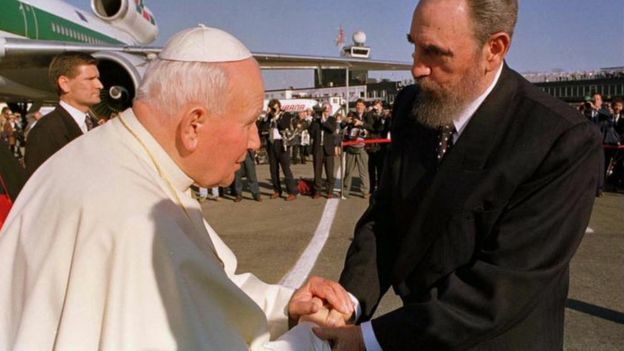 Pope Francis, who met Castro, an atheist, when he visited Cuba in 2015, called his death "sad news". In Venezuela, Cuba's main regional ally, President Nicolas Maduro said "revolutionaries of the world must follow his legacy". Cuba's former president Fidel Castro, one of the world's longest-serving and most iconic leaders, has died aged 90. His younger brother and successor as president Raul Castro announced the news on state television. Castro toppled the government in 1959, introducing a Communist revolution. He defied the US for decades, surviving many assassination plots. His supporters said he had given Cuba back to the people. Critics saw him as a dictator. Ashen and grave, President Castro told the nation in an unexpected late night broadcast on state television that Fidel Castro had died and would be cremated later on Saturday. 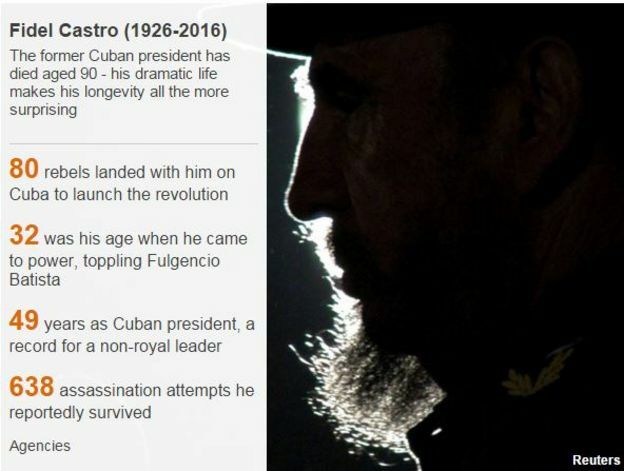 "The commander in chief of the Cuban revolution died at 22:29 hours this evening (03:29 GMT Saturday)," he said. "Towards victory, always!" he added, using a revolutionary slogan. A period of official mourning has been declared on the island until 4 December, when his ashes will be laid to rest in the south-eastern city of Santiago. Barring the occasional newspaper column, Fidel Castro had essentially been retired from political life for several years. In April, Fidel Castro gave a rare speech on the final day of the country's Communist Party congress. "I'll soon be 90," the former president said, adding that this was "something I'd never imagined". "Soon I'll be like all the others," Fidel Castro said, suggesting his "turn" to pass away was coming. Castro was the longest serving non-royal leader of the 20th Century. He temporarily handed over power to his brother in 2006 as he was recovering from an acute intestinal ailment. Raul Castro officially became president two years later. News of his death left some in Havana stunned. "I always said it couldn't be," said one woman, a government employee. "Even though they said it now, I say it can't be." Within two years of taking power, he declared the revolution to be Marxist-Leninist in nature and allied the island nation firmly to the Soviet Union. Latin American leaders have been quick to pay tribute. Mexican President Enrique Pena Nieto said Castro was a "great friend" of Mexico, while to El Salvador's President Salvador Sanchez Ceren he was an "eternal companion". Venezuela's President Nicolas Maduro said "revolutionaries of the world must follow his legacy". The Soviet Union's last leader, Mikhail Gorbachev, said: "Fidel stood up and strengthened his country during the harshest American blockade, when there was colossal pressure on him". Russian President Vladimir Putin described him as a "reliable and sincere friend" of Russia, while Chinese President Xi Jinping said "Comrade Castro will live forever". For French President Francois Hollande, Castro embodied Cuba's revolution in both its "hopes" and its later "disappointments". In Miami, where there is a large Cuban community, there have been celebrations in some parts of the city, with people banging pots and cheering. A Cuban exile group, the Cuban Democratic Directorate, said Castro left "legacy of intolerance" and had set up a "vicious totalitarian regime". Although the announcement of Fidel Castro's death caught many Cubans unawares, it can't be said that they weren't partly expecting it. 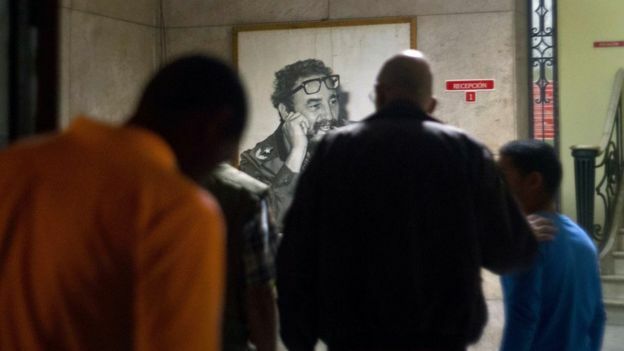 In a sense, they have been preparing for this moment, a post-Fidel Cuba, for several years now as he retired from public life and largely disappeared from view. But now that it has actually arrived, some are asking whether it will make any political different to Cuba's trajectory. It's unlikely to, mainly because Raul Castro has already been implementing economic changes intended to attract foreign direct investment and ease the tight restrictions on ordinary Cubans. Plus, of course, there is the new rapprochement with Washington. 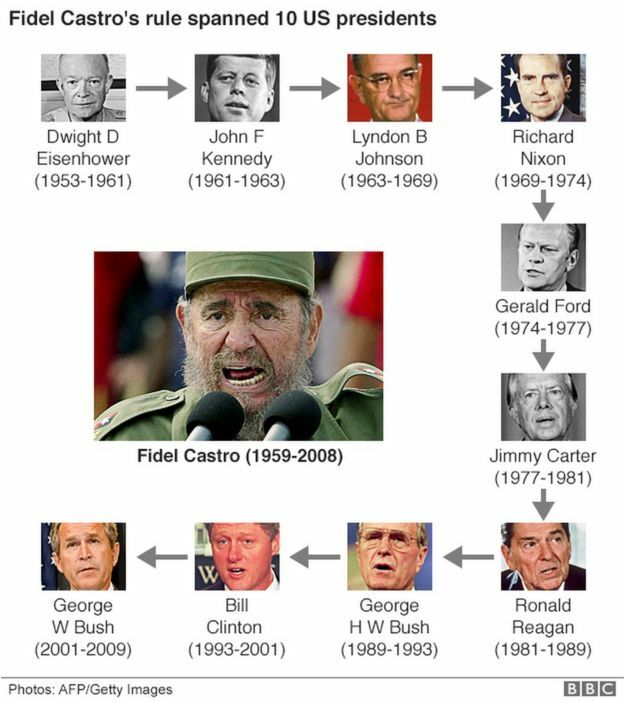 While it's still not clear what a Trump presidency will mean in that regard, those changes are unlikely to be reversed because of Castro's death. Nor will Cuba change its one-party political system in his absence. Politically, his legacy lives on. Like us on Facebook and get connected.